Is Riding a Longboad Safe ? Do I Need a Helmet for Longboarding? Is Longboarding a Good Workout ? For my next trip to Houston, I once again decided to research some good places I could go longboarding there. Houston has few hills and a lot of bad pavement, so you really need where to go for longboarding. Fortunately, there are some cool spots and events for riding your longboard in Houston. Also, the strong “urban downhill” (aka garage riding) culture has kept the sport of longboarding alive and kicking for many years. In this post, I’ll reveal some of the best spots local longboarders hang out at and some of the great communities you can join in Houston for longboarding. The Buffalo Bayou bike trail is a five-mile loop of cemented trails great for cruising and pushing on your longboard. The full trail, also known as the Sandy Reed Memorial Trail, actually cuts across all of Houston through the many parks alongside the river and the Glennwood Cemetery. However, the pavement on the trail is not as well-suited for longboarding as you get further away from the Houston Downtown Aquarium area. The Brays Bayou trail section that runs along MacGregor Way has quite smooth pavement for longboarding and a few nice hills to ride on. You can also longboard around on Loop Drive in MacGregor Park which is a popular nice neighborhood spot with playground and pool – though the trail in there has some beat up sections. Another good section of the Buffalo Bayou trail offering a nice longboarding ride is around the Terry Hershey Park. If the BW8 parking lot is full, you can park at Dairy Ashton Road. About a half hour drive West of downtown Houston, near Schiller Road off SH 6 highway, you can longboard down a small hill on a paved trail that runs along the bayou. The hill has a parking lot next to it. On the opposite side of the highway, there’s also a trail with long ramps running under a few bridges, leading to McClendon Park. The pavement on that trail is decent for longboarding. A 40-minute drive Northwest of Houston, Spring Creek is a nice green park area with decent trails and small roads you can go longboarding on. Click here and here for example views of some ridable roads. If Terry Hershey is too crowded, the nearby George Bush Park can be an alternative place to go longboarding at. Lots of bike trails to ride on, though not the greatest quality of pavement. With so few hills around, riding in parking garages, often called urban downhill, is a big thing in Houston. Garage racing is an ongoing activity for the Houston longboarding community, skating in 25+ popular garages downtown and elsewhere in the city. Garage longboard racing is accessible to all skill levels, but it’s illegal. The NoBull group, which pioneered Houston’s garage riding tradition, regularly puts on outlaw races that attract dozens of skaters. They rotate garages and keep the locations secret until the last minute using code names and private forums. Over the years, the group has learned to get in, hold the race, and leave the garage in no more than 50 minutes to avoid getting caught. The garages where these downhill longboard sessions most often occur are located all over the city. Some are located downtown and so have much less traffic after 7 pm. Macy’s Galleria garage in Yorktown has many multi-level garages with steep declines and ramps that feel like ski runs at night. There are also garages below Greenway Plaza which are great for downhill racing – though in the past groups have been caught trying to ride in them and asked to leave. Green Street parking garage is another cool place to longboard in with 9 floors and a great view at the top. On weekends you can park there all day for $5. Team NoBull Longboarders: a non-profit group created in 2012 by Greg Noble and others (including the owner of the now-closed Carve Skate Shop). The largest longboarding group (almost 25K fans) in Houston. The group aims to support the scene, help develop the sport, participate in and organize longboarding races, sponsor and support newbies and seasoned riders alike. Super friendly group, no need to join, you just show up at an event and get a T-shirt to be officially in. Houston Garage Riders: close to 1500 members, this group is dedicated to urban downhill. There are clear rules about when and how to skate in garages: skate after 11pm, enter garages quietly, keep locations secret, don’t leave traces, leave immediately if caught or hurt, always wear a helmet… It’s a closed group and you need to be approved from the admins to join, they’ll ask you questions about your motivations. Houston Critical Mass: not technically a longboarding group, this is a large casual, slow-paced bike ride event with hundreds of riders of all skill levels. They meet on the last Friday of the month in the evening. As a longboarder, you’re welcome to join and kick push for miles on your longboard alongside the bikers. You do need good endurance and control to follow the bikes, though, it’s hard but fun and many bikers will happily tow you for a while if you need to rest. I thought I’d complete this post by mentioning a great longboarding race – even though it doesn’t take place in Houston but at a 3.5-hour drive from the city. The race is tightly organized by a San Antonio skate shop andtakes place every year in the steep hills of the Lago Vista area. Houston may not exactly longboarding paradise with regards to big hills and quality of pavement, but it has a very lively longboarding community that makes the best of what they have, including beautiful parks and trails, an innovative and dynamic garage racing community, and a vibrant downhill longboarding community across the state of Texas. Learn To Skateboard At 40 Or 50: You Can Do It Too! Hi I'm Jesse. All my life I've been passionate about the board riding lifestyle. Some years ago I got into longboarding, and in doing so, I discovered a whole new universe and a fantastic community. 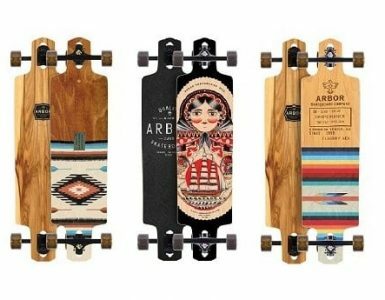 There's something for everyone in longboarding regardless of age, gender, size, and fitness level. Ride on! Ridingboards.com is a participant in the Amazon Services LLC Associates Program, an affiliate advertising program designed to provide a means for sites to earn advertising fees by advertising and linking to Amazon.com. Excerpts and links may be used, provided that full and clear credit is given to Riding Boards with appropriate and specific direction to the original content.